Of course, a real security system is better than a fake one because you’ll have real help on the way and real camera footage if something goes awry. But if you can’t afford a security system or you can’t afford all the equipment you want at first, you can use some fake gadgets as a temporary fix or to bolster your existing security measures. After all, it’s better to have fake security system than nothing. 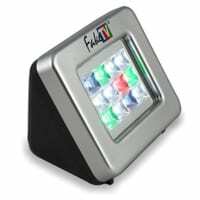 A FakeTV gives the impression that you’re home and watching TV in your dark or dimly lit home. It’s a small box that emits light to mimic the color and scene transitions of a television program. When someone sees the television-like glow through your window, it seems that someone is home watching TV, possibly deterring burglars from your home. You can get a dummy motion sensor that emits a small LED flashing light, and if it senses motion, it can give a message to the intruder. Choose from different electronic voice warnings such as “Warning! Warning! Security Alert!” or “The authorities are being notified!” The fear of being caught by a security device may scare intruders away. 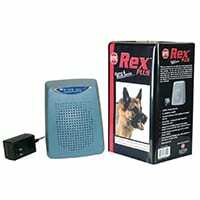 Place a sensor outside your home and when it detects motion, a speaker inside your home plays dog barking noises . Some more sophisticated systems will also turn on some lights in the home shortly after the dog starts barking, so it might look like someone been woken up or bothered by the dog barking. Typically, noisy dogs are not a burglar’s friend, and it may make a burglar think twice about breaking into your home. 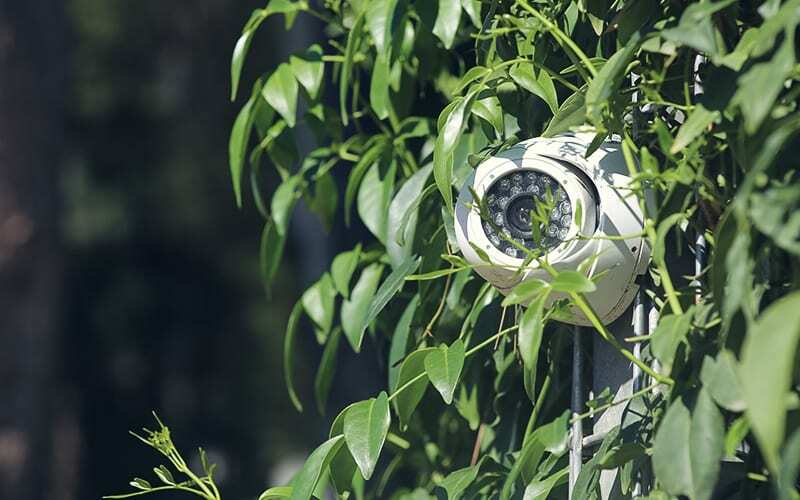 Fake security cameras can give the impression that a burglar is under surveillance. 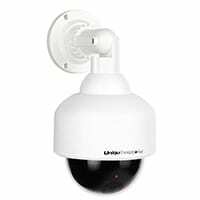 Although the whole point of buying fake security components is to save money, you don’t want to buy the cheapest fake security camera because it will look cheap and fake. Spring for a good-looking model and ask yourself if you would be tricked by it, so it will be more likely to trick intruders. A sign or window sticker warning that your home is armed by a security system may deter burglars, even if your home doesn’t really have a security system. However, some signs and stickers look more believable than others, and if you have a fake company logo on your yard sign, it’s pretty easy nowadays for a determined thief to whip out their smartphone, Google the brand, and see if it’s a legitimate company or not. A fake laser scanner will project red laser-looking lights around a room, to make it look like there are high-tech laser scanners protecting a room. Transform any room into something straight out of Mission Impossible, and the intimidating look may scare off burglars who don’t want to get caught. In a pinch, fake security system components may scare off burglars. However, savvy thieves may be able to tell the difference between fake and real security equipment, so it’s a good idea to get real-looking equipment or to supplement your real security equipment with fake components to make it look like your home is more fortified. If a thief can’t tell if your security equipment is real or not, the odds are that they won’t want to take any chances. If you have reviews for or experiences with fake security systems, please let us know in the comments!